These wooden cases from Keyway Designs are the safe haven your iPhone deserves. Use code EARTHER15 to save 15% off site-wide, plus get free shipping. Keyway’s cases are designed, laser cut, and manufactured in Toronto from genuine wood veneer with a scratch resistant coating. Their styles sport a flexible TPU bumper around the edge in either full-grain leather or metallic coated acrylic looks. 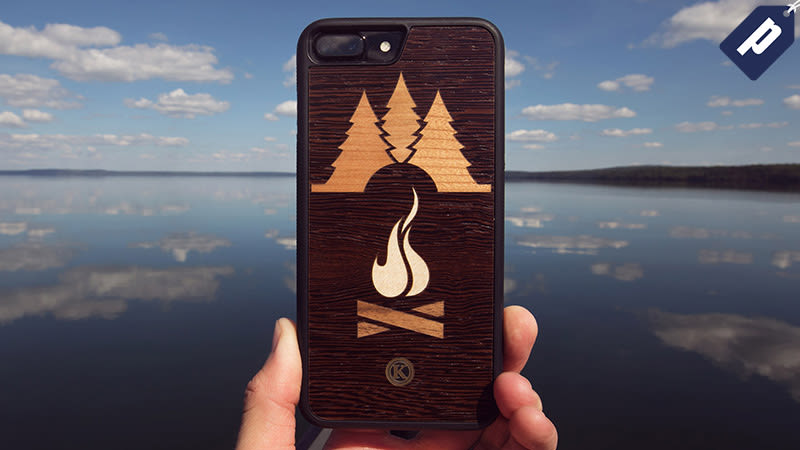 Shop simple, adventurous, or abstract designs including artistic patterns, landscapes, and animals (to name a few) for iPhones 5-8plus, and iPhone X. Save 15% site-wide and grab an iPhone case from Keyway starting at $19.50, plus free shipping. Use code EARTHER15 at checkout.